So it is finally time to answer all of your questions. Thank you so much to all of you who commented. These were very good questions and some of them I have already planned upcoming blog posts to go more in detail of. Let's get started! 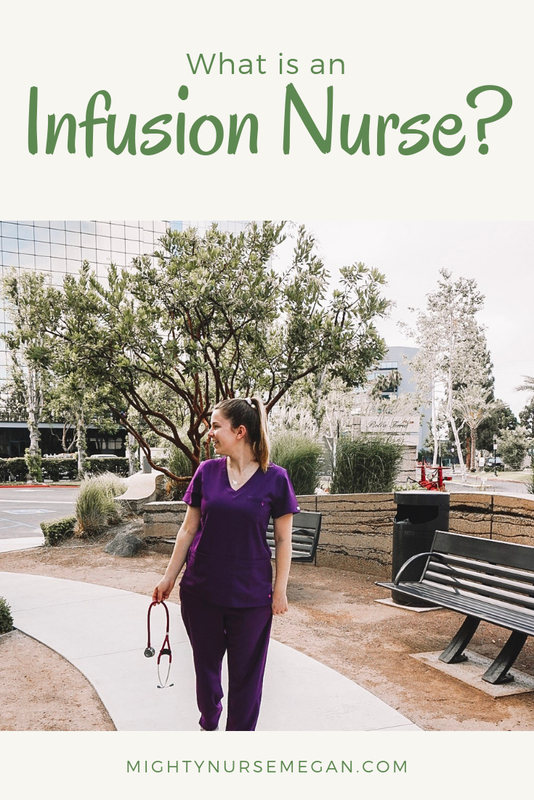 Question 1: What kind of bag or items do you bring with you to clinical? During my first two years of clinical in nursing school, I would just use a spare backpack to bring my items to clinical. I always bring a lunch with me so I needed somewhere to stick my lunch bag into since the fridge was always full! A lot of other nursing students just use their backpacks as well. For my senior year I actually got a tote bag for it. I'm not saying what it is just yet because I am going to do a post on it!!! Question 2: How do you study for exams with so much to learn? Also how early do you start revising? Studying for exams is all about organization and time management. My strategy is to stay current on that unit's information throughout the weeks before the exam. This typically looks like rewriting my notes, listening to the lecture, or just revisiting the powerpoint. Practice questions also help! My nursing school usually has 4 exams throughout the semester and a final. That means I typically have an exam each month. I only have that class once or twice a week so I start revisiting the information immediately to keep it current in my brain. I study more intense probably about a week or week and a half before the exams. By intense I mean quizzing other students or trying to teach the material to someone. Make sure to break up your studying. Set goals for what you want to go over that day. You really cannot cram in nursing school nor can you sit down and study for 5 hours. I study for about an hour and then take a ten minute break and then start again. Also make sure to keep electronics out of the way. 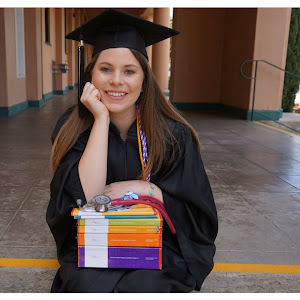 You can check out my previous post on study tips here. Question 3: What do you carry to clinical and what is your study schedule like? For clinical I carry in my scrubs my brain sheet, a small notebook, my bic pen, bandage scissors, pen light, stethoscope, watch, and badge. In my bag I usually have the rubric for an assignment we may have to complete for clinicals, my packed lunch, water bottle, and a jacket. Question 4:What do you carry to clinical? Places you go to study? Refer to question 3 for what I carry to clinical. Places I go to study are not a whole lot. I like going to my school's library, but it does get loud there. I actually study best on my bed or the floor where I can spread out all my papers. Starbucks or coffee shops do not have enough desk space for me. Question 5: What do you pack for lunch on school or clinical days? Let me start by saying that I do not eat healthy or the best for me at all. If anyone has good tips please share them with me. I typically pack the same thing for lunch regardless if it is a clinical day or school. I will make a sandwich (either turkey or roast beef), either goldfish or cheez-its, an apple or a banana, and maybe some carrots. I also like including chocolate covered acai berries. Oh yeah I also have a granola bar somewhere close by for in case of emergencies. Question 6: Nursing School Supplies. Good Student Stethoscopes. Scholarships. So I have already addressed the first two in different blog posts. Here is nursing school supplies and stethoscopes. 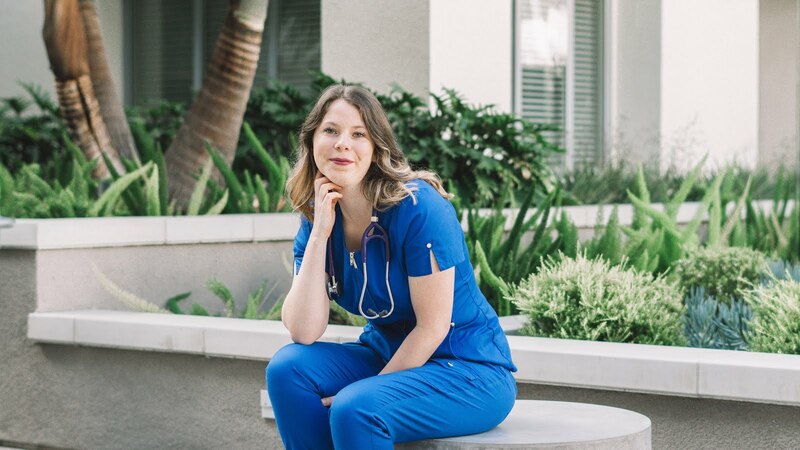 As far as scholarships go, first ask your nursing school what they have available. My school actually sends out emails with new scholarships, but you can always google for some. Cherokee offers a nursing scholarship here. Also NSNA has some here. Question 7: How much time do you typically have between the introduction to a new skill and being tested on that skill? My nursing school may be different than yours, but during sophomore year before we begin in the hospital we do 4 weeks of on campus clinical. This is where we actually learn skills such as vital signs, suctioning, med administration, and foleys. My school also has us attend "open labs" to practice these skills throughout sophomore year. I am only tested on med administration which we learned three weeks before the exam. I also have to do a simulation which was at least four weeks into the semester. 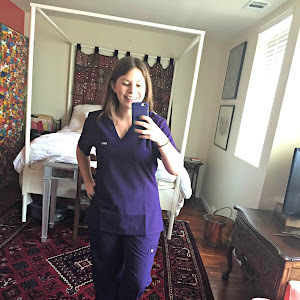 Question 8: Any organizing tips for first semester nursing students? Any good books to get in addition to the ones required for your program? Okay so first off yay! you are starting nursing school. Second off get organized. Buy your self a planner and print out your syllabus. Mark all due dates immediately on your planner. Make sure to also keep your notes all in one place. Do not be writing in a notebook that you also use for another class. 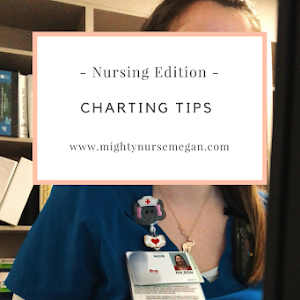 In addition to the planner, it may be a good idea to get a white board calendar and place it somewhere you will see everyday so that you can really see what is due that month. As for additional nursing texts to help I liked the Made incredibly easy series! I got one for my OB class and it made everything simple and had cute mnemonics. This website is also good for mnemonics. Or you can always get the comprehensive NCLEX review book by Saunders which I already posted about here. Thank you again to those who participated. As always I am here if you ever need anything. You can comment down below, email, DM on Twitter or Instagram. Thanks for these awesome tips! I will have to check out the "incredibly easy" series. I can't wait to see the post on your clinical bag...... I'm kind o a bag whore. Haha. What is on your brain sheet that you bring to clinicals with you? I am so glad you asked about my brain sheet. I will be sure to post that. 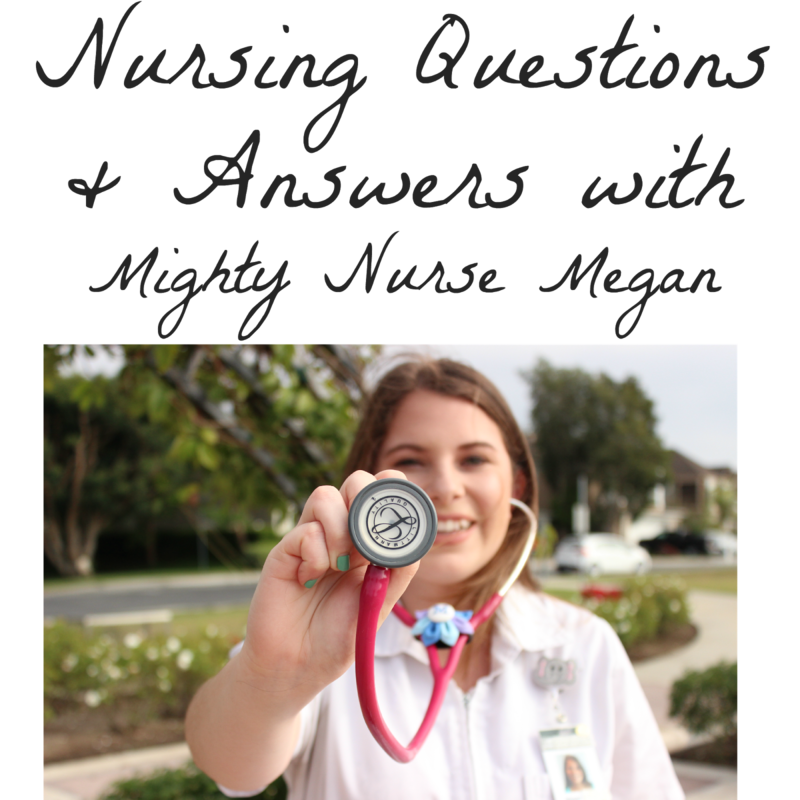 It' really inspiring to see so many great answers and the work you do to help other nursing students, Mighty Nurse Megan!